Piercing the Los Angeles skyline is a new skyscraper, a sleek edifice that tops out at over 1,100 feet: the Wilshire Grand Center. 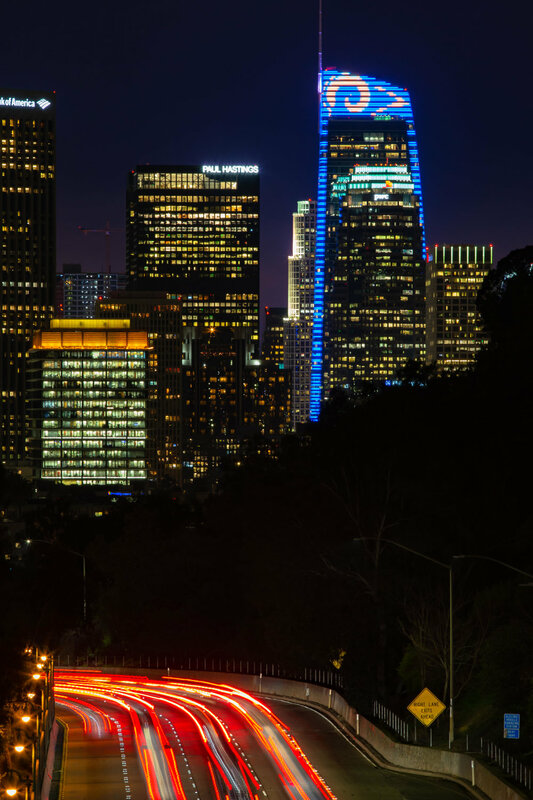 The narrative lighting on the tower is woven into the architectural structure and is visible for miles around Los Angeles. The content is programmable on demand for an infinite variety of custom color choreographies in support of holidays, local sports, business sponsorships, and newsworthy events. In addition to solid colors and simple gradient colors, the lighting design is also a fully-functional three-dimensional display capable of playing back full-motion video. 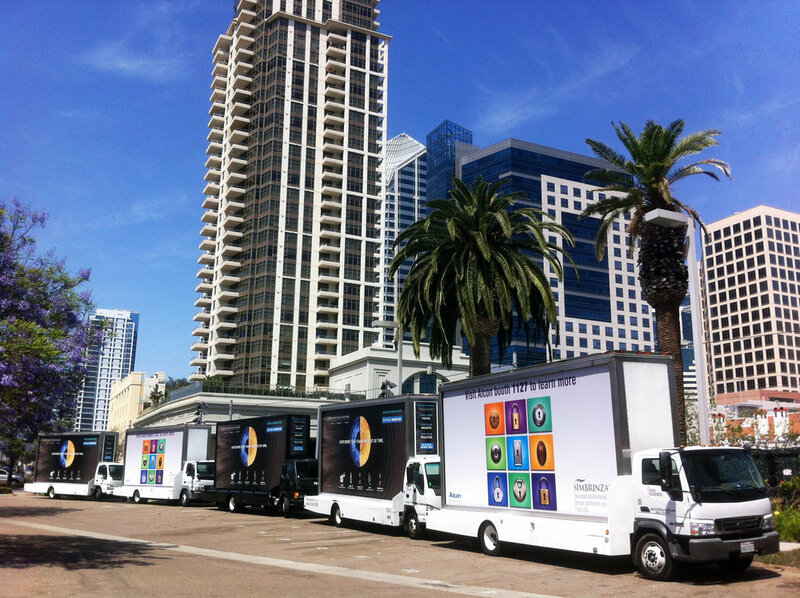 Mobile Billboard trucks are used to increase market saturation by targeting specific audiences within a city. The ads are also used to promote a brand near sporting events, concerts, meetings, conventions, and universities. Our billboard trucks operate in California, Nevada, Washington, Oregon, Colorado & Arizona.